For me Star Wars has always been about the films (yes even the fairly poor prequel films), I’ve never really dived into the Expanded Universe stuff and nor have I played the million or so Star Wars computer games that have been created over the years; however I really enjoy the films and have always been interested in the RP potential of the Star Wars setting (in-fact I think WEG D6 Star Wars was the third or fourth game I played), collecting various different versions of the Star Wars RPG over the years. Lately this has culminated in me getting copies of Edge of the Empire and Age of Rebellion from Fantasy Flight Games; I was lucky enough to play in an excellent one-off game run by Runeslinger that really fired my enthusiasm for the game and, like a lot of GMs, if a game makes me enthusiastic then I want to run it. 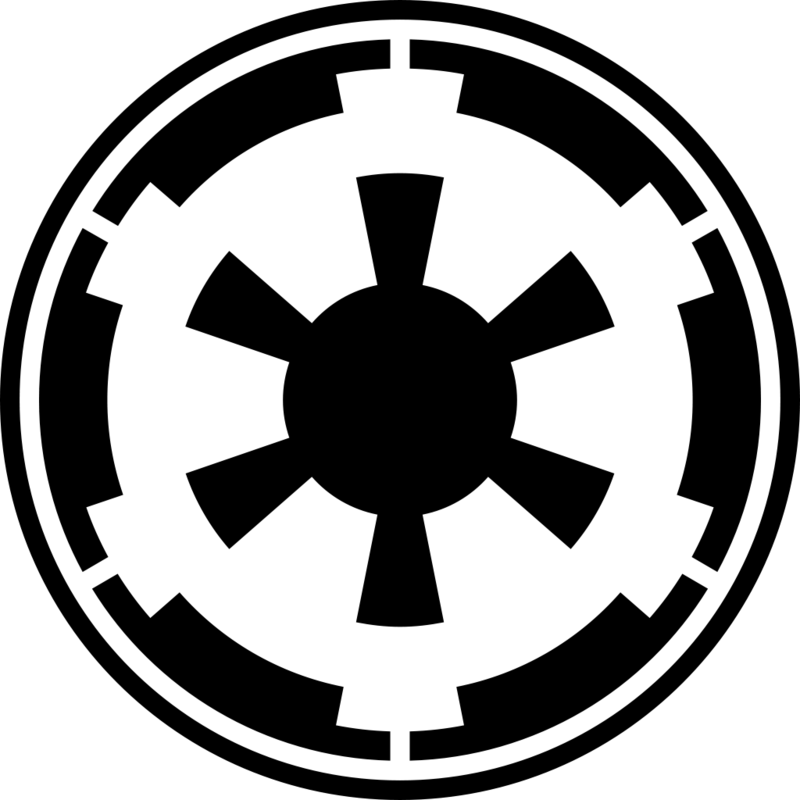 After a bit of shuffling of my schedule I was able to fit in an Edge of Empire game and we’ll be starting that shortly; one thing that became obvious during the character creation session (and that I had not considered before) was that there were certainly some of the players who had a greater knowledge of the Expanded Universe of Star Wars than myself and I’ve sometimes found people who have invested time in acquiring such knowledge can be a bit precious about perceived errors or things that contradict it. So what does this have to do with the 2014 continuity? Well, around about the time they announced that they were making a sequel series of films, Disney (new owners of Lucasfilm) announced that the films would not be beholden to anything established by the previous Expanded Universe and that only certain sources would now be considered as canon, the EU being re-classified as Star Wars Legends (Wookiepedia, the Star Wars wiki handily has a ‘canon’ and ‘legends’ tabs for most entries). This announcement was widely met with disbelief and anger from many fans who had been hopefully the films would tell some of the great stories from the EU, at the time it didn’t really bother me one way or the other as someone who wasn’t really up on the EU, when they came out I’d no doubt go and watch the new films but that was as far as it went. However, as I started putting together the Edge of the Empire game and getting ideas from the players and was considering what to do regarding this vast stock of Expanded Universe lore that some of players knew very well and that I had no intention or inclination of frantically studying to try and bring myself up to speed, it occurred to me that Disney/Lucasfilm had handed me the solution to my problem – I would use the new continuity. Of course I’m not entirely going to avoid the EU since there are some great aspects of it that I’m sure will add to my game, however the baseline of the setting has been set using the new canon, this means that players with a huge stock of knowledge about the EU won’t have an unfair advantage, should hopefully cut down contradictions and it means all of the information they need is easily available in one place; basically if it’s on a ‘canon’ tab on Wookiepedia then it is assumed to be the truth in our game setting. 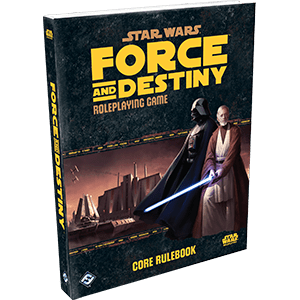 As far as I’m concerned the new continuity gives new GMs and players the opportunity to pick up a Star Wars RPG and run games without having to digest a vast amount of accumulated lore, it frees us up to tell our own stories in the Star Wars universe without having to constantly having to justify our ignorance of the Expanded Universe. Part 3 of the first session has been uploaded by James.